AFRICA'S SOCIALIST BANNER: A New Arab Spring? Commentary and analysis to persuade people to become socialist and to act for themselves, organizing democratically and without leaders, to bring about a world of common ownership and free access. 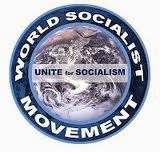 We are solely concerned with building a movement of socialists for socialism. We are not reformists with a programme of policies to patch up capitalism. Eight years after the first protests of the Arab Spring, events in Algeria and Sudan show that the desire for democracy has not abated. Hundreds of thousands of people took to the streets of Algiers and other Algerian cities to demand the ruling elite step down from power. Bouteflika stepped down ten days ago in response to weeks of street protests against his two decades of rule. Bensalah, a longtime ally, replaced him as interim president and said he would stay in office until the presidential vote. But Protesters denounced Bensalah and held bearing "We want the prosecution of all corrupt people" and "No to the gang." Meantime, a day after he announced the removal of longtime ruler Omar al-Bashir, Sudan's Defence Minister Awad Ibn Ouf stepped down as the leader of a transitional council. General Abdel-Fattah Burhan would succeed him as the council's leader. The military intervention risks replacing one dictatorship with another, dashing protesters' hopes for a civilian government and opening the way for further instability. Protesters have accused the military of "stealing the revolution." The Sudanese Professionals Association, one of the groups leading the protests, said Ibn Ouf's resignation was "a victory of the people's will." It vowed to continue its rallies unless Burhan agreed to "transfer the powers of the military council to a transitional civilian government."